Every die caster knows that that die casting alloys shrink during the casting process. This is the opposite behavior of water which expands as it solidifies. Despite our basic understanding of shrink, I find some confusion in the industry over shrinkage in die casting alloys. This comes from a lack of defining the different types of shrink. The die casting process has to accomodate three different regimes of shrink. They are liquid contraction due to liquid cooling, solidification shrinkage, and solid contraction. Figure 1 clearly shows these three types of shrink by showing the density of 380 as a function of temperature. 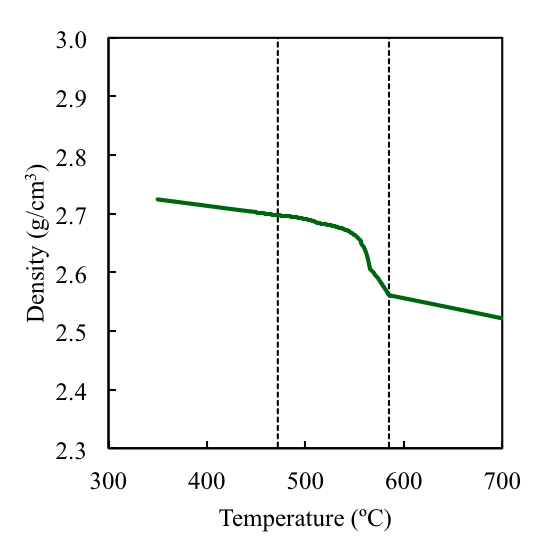 Figure 1: A380 density as a function of temperature, clearly showing the liquid contraction, solidification shrink, and solid shrinkage. Notice how these three types of shrinkage are all shown on the same curve. So, it is correct to refer to each portion of this graph with the general term of shrink. However, the amount of shrinkage and its effect on the casting quality is different for each segment of the cooling curve. This is why we must be clear when discussing shrinkage issues. Liquid contraction is the feature of the cooling curve that represents the volumetric contraction of the liquid as the temperature nears the liquidus temperature. Figure 1 shows this form of contraction is linear. Generally this is the least worrisome portion of the cooling curve. Much of this shrinkage is experienced before the die is filled. This is because the superheat is lost in the ladling time and shot delay. Sometime one has to be concerned with liquid contraction. This is most often when high superheat temperatures are used to aid with the filling of the die. The best way to control this shrink is to use the least amount of superheat possible. The second portion of the cooling curve is the solidification shrinkage. This form of shrinkage is responsible for much of the porosity in die castings. This is because die casting alloys shrink a significant amount with aluminum shrinking the most. Pure aluminum shrinks approximately 6.5 % during solidification. Often die castings contain 3% or less porosity. Therefore, one can account for almost all the porosity in a die casting from the shrinkage alone, and this is true for aluminum, zinc, and magnesium. High integrity die casting processes have the potential to eliminate porosity for many geometries. 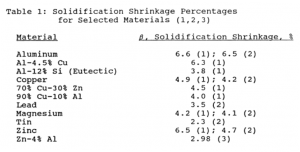 Figure 2: Solidification shrinkage factors for common die casting alloys. Most all die casting alloys shrink less than pure aluminum. 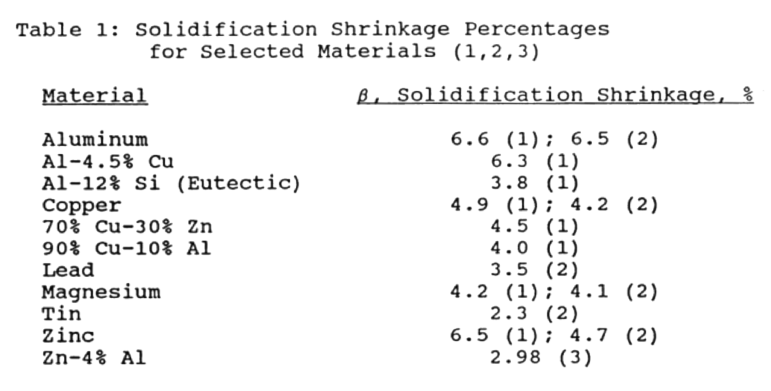 Figure 2 shows some solidification shrinkage factors for common die casting alloys.As the figure shows, magnesium and zinc only shrink about 4% or 3% respectively. Keep in mind that the common ZAMAK alloys contain approximately 4% aluminum. It is best to use the last entry in the figure to estimate the zinc shrinkage factor. The last and potentially least understood portion of the cooling curve is the solid contraction. Another term for this portion of the shrinkage curve is patternmaker's shrink or toolmaker's shrinkage. This shrinkage factor is approximately 0.006 in/in in both aluminum and ZAMAK die casting alloys (these are the same for aluminum and ZAMAK alloys only by coincidence). Patternmaker shrinkage can most easily be understood by deriving the factor. To do this we have to realize there are two components to pattern shrink in die casting. First there is the solid contraction of the casting from the ejection temperature to room temperature. Second, we have to account for the increase in the size of the die steel as it is warmed from room temperature to the operating temperature. Figure 3 shows an example of accounting for these two components of patternmaker's shrinkage. Figure 3: Patternmaker shrinkage example from NADCA's, "Designing Die Casting Dies," book. Using the method shown in Figure 3 we can now calculate the patternmaker shrinkage for all casting materials as well as die materials. Keep this in mind as you design dies for uncommon die casting alloys, or when you are trying out new die materials. Keep in mind that small changes in ejection temperature or ambient temperature or die temperature will have a very little effect on the shrinkage factor. 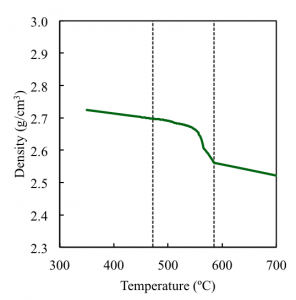 Also, small changes in the coefficient of thermal expansion for the die or the casting material will have a small effect on the shrinkage factor. This means that we can use the values in the NADCA Product Specification Standards safely for most die casting applications. Only when new alloys or dimensionally critical castings are being produced should this calculation of the shrinkage factor be needed. We have reviewed the three shrinkage regimes in die casting. The first two, liquid contraction and solidification shrinkage, have more to do with defects that we will see internal to the casting. The last regime which is solid contraction affects the dimensional tolerance of the as cast component. This is an important design consideration. Let us know in the comments below if you have any additional considerations of shrinkage or any questions about the details above.